Emmegi is a high-fashion, luxury ski-wear brand from Austria. Founded by a former model, turned designer, one look at the company's collections will show you that this is winter clothing with the emphasis very much on innovative design, influencing new trends and setting slope fashion. Emmegi ski-wear is most likely to be seen worn amongst the well-heeled skiers of Austria, Germany, France, Switzerland and Russia, but is much harder to find in the UK. However, there have been a handful of stockists over the years, detailed further below. The name Emmegi is taken from the Italian pronunciation of MG (pronounced "Emme-Gi"), MG being the initials of the company founder Milos Gvozdich. Milos Gvozdich came up with the idea for the brand whilst he was working as a model in the 1980's. In his spare time away from the modelling he was interested in the design aspect of fashion, and one of the first things he did was design a ski-wear collection for a friend. Following on from this in 1985 he then showcased some of his ski-wear designs at the annual ISPO show, and the interest in his designs and the Emmegi brand soon took off in Austria and neighbouring Germany. Milos Gvozdich's eye-catching designs earned him and the company international recognition and awards throughout the 1990's, and the Emmegi brand continued to establish itself, finding particular popularity in France, Switzerland and Russia. There is a real focus on high-fashion at Emmegi, so it's no surprise to see a range of stylish collections. Emmegi ski-wear certainly has that luxury look about it - fitted jackets, lots of great attention to stylistic and subtle detail such as in the zippers and hidden belt loops, and Emmegi logos on the buckles. Expect some fur-lined hoods, collars and cuffs, satin panels, and some belted jackets too. 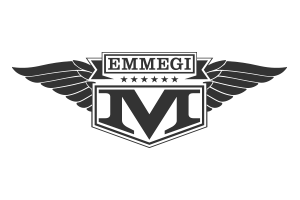 Despite Emmegi naturally having a huge leaning towards the design and fashion aspect of its ski-wear, their products also have extremely high quality production standards. The owners continue to oversee manufacturing in their European offices and Emmegi still creates its own fabrics, with a big emphasis and expertise on perfect ski clothing fitting and functionality. Emmegi is a luxury ski-wear brand and this is very much reflected in their products prices, with women's ski jackets ranging from £700 to £850 and ski pants from £200 to £350.